Psychology in the Light of the East is recommended reading for college-level psychology students who want to integrate Eastern thinking into Western psychology traditions, and blends philosophy, psychology and spirituality in a survey of these two diverse worlds and the areas where they compliment one another. . . .[P]sychology students and practitioners receive a clear exploration of how to tailor their approach for more effective client care and responses, and will find Psychology in the Light of the East a clear road map of approaches backed by real-world sessions and history alike. This book will also be helpful for individuals seeking psycho-spiritual healing and development as it provides a deep understanding of the many paths inwards and therefore, how to endeavour toward our greater potential. Very highly recommended. An extremely helpful and well-written guidebook of self-discovery and growth, both personal and spiritual. Dig in. There are gems on every page! A deeply insightful and powerful integration of eastern and western approaches to psychology. This is a fertile field that will yield profound possibilities for human growth and healing over the coming decades, and this book will be a leading light. It requires courage to study the intuitive psychology of the East with the contemporary rational mindset of the West. 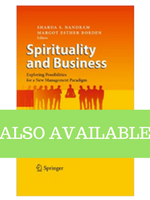 In this text, Margot Borden brings in conventional and postmodern approaches but integrates the transformative vision of Sri Aurobindo to present a glimpse of a greater psychology waiting to unfold. Filled with fascinating case vignettes (as well as the author’s amazing life adventures), this book is both a scholarly and an entertaining read. Ms. Borden is an American, and a self-described spiritual seeker who ultimately landed in India. With this book, she has put together an astonishing timeline of Psycho-Spiritual Belief Systems in both the East and the West from 30,000 BCE to 2017 that alone makes this book unique and library-worthy. And that’s just the beginning. She then analyzes, in a thoroughly engrossing way, the theories and frameworks of every major psychological and holistic approach of both East and West (from psychoanalysis to mysticism), elucidating them for the reader in the context of the evolution of human consciousness. An obviously gifted intuitive healer, Ms. Borden spends the last third of the book guiding the reader, through her own personal experiences, on how one might become an Integral Psychotherapist by combining both East and West in a powerful healing stew. The complexity and rich content of this book make it hard for me to adequately describe it here. But its goal of integrating East and West just makes so much sense! The writing is wonderful, the stories are great, and I couldn’t stop thinking about what I learned. It has changed the way I think about therapy. I highly recommend it. With brilliance of intellect, and with a palpable, compassionate heart, Margot Borden takes us, her readers, on a riveting journey toward the discovery of our true, essential self. Margot’s courageous and compelling words, reveal her insatiable quest for truth, as they dig deep and wide into the many fabrics of the “soul”, and they propel and empower each of us to think more, to feel more, to live more, and to be more. Psychology in the Light of the East presents a unique approach integrating the reason of Western psychology and the holistic outlook of Eastern wisdom. This approach, called Integral Psychology, incorporates mysticism, philosophy, and psychology of both east and west to convey how they reflect the evolution of consciousness. Theoretical foundations, a framework and techniques for application invite the reader on a journey of self-knowledge, self-mastery, the realization of personal and spiritual potential and their development as helping professionals. How can we realize our full potential? Is the answer available through the scientific approach and rigor of Western psychology or in the esoteric wisdom of the East? I believe the answer lies somewhere in between. Since beginning her education and career as a psychotherapist, Margot has felt that our perception, understanding and corresponding ways of working with clients were too limited. In some cases, they did not include the human element and in others the spiritual. She set out in search of a means of addressing the full scope of human experience and potential. Her quest took her through many schools, books and trainings. Finally in India, she discovered the work of Sri Aurobindo, an eminent Indian mystic. His description of human experience, consciousness and potential not only fit her experiences and intuitions, but left plenty of growing room. Aurobindo’s works became the foundation for her personal and professional development, leading to a wonderful and limitless journey. Expanding our worldview and approaches toward psychology creates space for our greater potential. We can move toward wholeness, wholesomeness and a new, more congruent way of being with ourselves, others, our society and our planet. 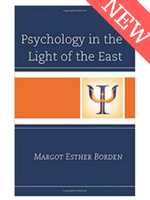 Psychology in the Light of the East conveys a vision of human potential and psychology that transcends the borders of East and West and opens the scope for a multi-dimensional, pluri-disciplinary and inclusive theory and practice for psychology. Moving past current psychological scopes of treating symptoms or simple well-being, this book offers an invitation and means for transformation from ego to soul-consciousness. With brilliance of intellect, and with a palpable, compassionate heart, Margot Borden takes us, her readers, on a riveting journey toward the discovery of our true, essential self. Margot’s courageous and compelling words, reveal her insatiable quest for truth, as they dig deep and wide into the many fabrics of the “soul”, and they propel and empower each of us to think more, to feel more, to live more, and to be more.